Your body mass index, or BMI, is a ratio based on your height and weight to determine your level of body fat, and thus your risk for diseases related to weight—things like cardiovascular disease, heart attack, and diabetes. But many consider it to be an old, outdated theory. Here’s why. There’s a lot of misinformation out there that is harmful to your health. And what’s worse is that some of that information is so entrenched in the medical community that even your doctor might not have a clear grasp of what’s going on. Like anything, the understanding of the human body, and what is healthy, progresses. New tested theories come to light, and doctors can either acknowledge and accept these theories or maintain the status quo. 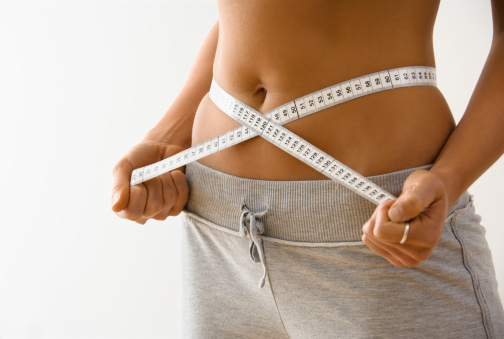 According to the BMI scale, a person can be underweight, in the normal range, overweight, or obese. The problem with using BMI is that it doesn’t paint an accurate picture of your body composition or your health. Being thin has always been associated with good health, and people who are thin will almost always be in the healthy BMI range. But BMI pays little attention to how weight is comprised or where it’s carried—and both of these factors have big health impacts. Otherwise thin people may carry high amounts of visceral fat that we can’t see with the naked eye; it’s not uncommon for a thin person to have a very high percentage of body fat in the gut area. And people in a healthy BMI range who have a belly are at a higher risk for heart-related health problems. A brand-new study is echoing the results of others performed in the past, showing that body fat percentage is a much better indicator of health than BMI. The study showed that thin individuals were just as likely to die as those with very high levels of body fat. For example, they found that skinny women, with a BMI around 22.5 (which is in the normal range), had a 44 percent higher risk of dying during a seven-year follow up period. At the other end of the weight spectrum, women with high body fat percentages—over 38 percent—had a death rate that was 19 percent higher. In many cases, lean mass—such as bone and muscle mass—can skew BMI readings. They can put someone into the overweight range when they are actually healthy. Healthy bones and sufficient muscle mass can help prevent an aging population from developing osteoporosis and sarcopenia. So what can you do? Look at where you carry your weight and learn your body composition. If you carry a lot of weight in the belly area, it’s a wise decision to increase your activity levels, reduce alcohol consumption, and limit processed food intake. If you’re thin and have a high body fat percentage (over 24% for a man and 31% for a woman), then you should increase activity and adopt an exercise routine to accumulate more lean mass. Padwal, R., et al., “Relationship Among Body Fat Percentage, Body Mass Index, and All-Cause Mortality: A Cohort Study,” Annals of Internal Medicine, published online March 8, 2016 doi:10.7326/M15-1181. Storrs, C., “High body fat, not BMI, linked with higher death rate, study finds,” CNN web site, last updated March 14, 2016; http://www.cnn.com/2016/03/14/health/low-bmi-higher-death-rate/index.html, last accessed March 17, 2016. Sifferlin, A., “When ‘Skinny Fat’ Is More Dangerous Than Obesity,” Time web site, November 9, 2015; http://time.com/4105095/skinny-fat-obesity/, last accessed March 17, 2016. Sahakyan, K. R., “Normal-Weight Central Obesity: Implications for Total and Cardiovascular Mortality,” Annals of Internal Medicine, 2015;163(11):827-835. doi:10.7326/M14-2525.